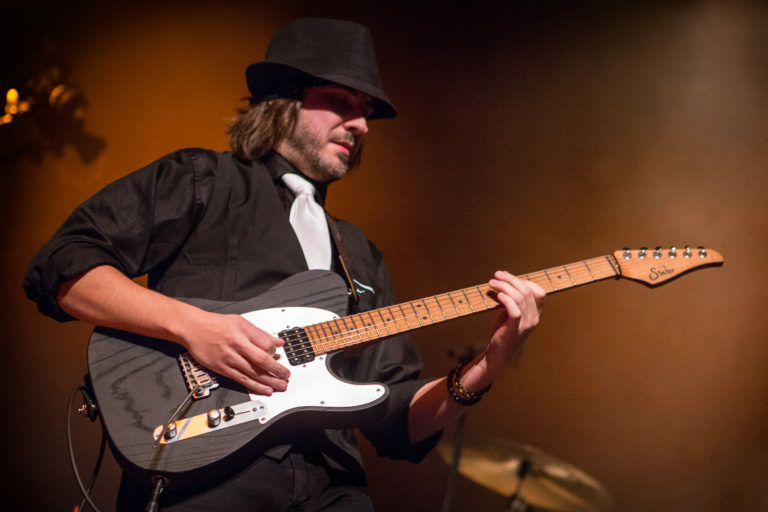 The Guitar Sanctuary and Suhr Guitars are proud to present guitarist Andy Wood with special guest The Quinten Hope Band at The Sanctuary Music & Events on Friday November 16th at 8pm (doors open at 7pm). Suhr guitars signature artist ANDY WOOD is recognized as part of the forefront of this generation’s top influential guitarists. Currently touring as a solo guitarist and mandolinist along with working on a host of additional musical projects, Andy is also performing live with his own band promoting his upcoming release "JUNKTOWN", as well as "CAUGHT BETWEEN THE TRUTH AND A LIE", the double album which showcases his vast musical influences and abilities. Quinten Hope has wowed audiences across the nation, from the historical Bitter End Club in NYC to the famous Granada Theater in Dallas. Quinten studied at the legendary University of North Texas School of Music, which led to his first CD (Aspects of the Soul). While at the School of Music, Quinten performed with the famous UNT Lab Band and wrote compositions that are still performed today. It was Quinten's second DC (Start of a New Day) that led to a friendship with Rock-N-Roll Hall-of-Famer and Grammy winner Will Lee along with Dan Wojciechowski and Bradley Knight. All three heavy hitters returned to record Quinten's critically acclaimed third CD (Reunion), which is his most personal to date.